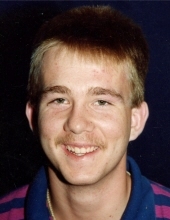 Danny Earl Sulfridge, age 42, of White Oak Road, Williamsburg, Kentucky departed this life on January 30, 2019 at his home. He was born on June 5, 1976 in Corbin, Kentucky to Ottis Earl Sulfridge and Pat (Petrey) Sulfridge. He was preceded in death by his parents, Ottis and Pat Sulfridge; grandparents, Bill Petrey and Earl and Nellie Sulfridge; niece, Tammy Michelle Meadors and nephew, Justin Edward Meadors. He is survived by two children, Abby Sulfridge of London, Kentucky and MaKenna Sulfridge of Williamsburg, Kentucky; stepdaughter, Jayden Moore of Williamsburg; two sisters, Tammy Meadors (husband Raleigh) and Donna Meadors (husband Bill), all of Williamsburg; brother, Ricky Sulfridge of Williamsburg; grandmother, Letha Petrey of Williamsburg; nieces and nephews, Brittany Vance (David), Rebekah Hutton (Brian), Brent Meadors, Cody Meadors and Noah Meadors; great nieces and nephews, Kirra, Liam, Bella, Amelia and Karsten; special friend, Dena Morrow; many aunts and uncles; and a host of other family and friends to mourn his passing. Visitation will be from 12:00 P.M. until the funeral hour on Saturday, February 2, 2019 at Croley Funeral Home. The Funeral Service will be at 2:00 P.M. Saturday, February 2, 2019 at the Croley Funeral Home Chapel with Rev. Bill Meadors and Rev. Roger Meadors officiating. He will be laid to rest in the Piney Grove Cemetery on Highway 1481, Williamsburg. Cody Meadors, Brent Meadors, Scotty Myers, Derrick Myers, Jake Sulfridge and David Vance will serve as pallbearers. In Lieu of Flowers donations can be made to Croley Funeral Home for the funeral. To send flowers or a remembrance gift to the family of Danny Earl Sulfridge, please visit our Tribute Store. "Email Address" would like to share the life celebration of Danny Earl Sulfridge. Click on the "link" to go to share a favorite memory or leave a condolence message for the family.